Inclement weather didn’t keep the Ames men from moving around today. Oakes Ames traveled into Boston on business, as he usually did on Saturdays. His sons, Oakes Angier, Oliver (3) and Frank Morton, rode to Easton Center for the funeral of Frank Russell, a 67-year-old blacksmith and veteran of the War of 1812. 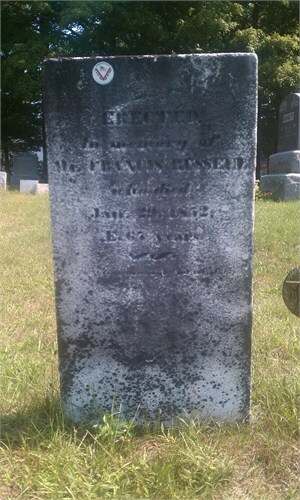 Russell had died two days earlier from pleurisy, and, despite the “hard snow storm,” he was buried at the Seth Pratt Cemetery with friends and family in attendance. What had been his connection to the Ames’s sons? Had he worked for the shovel company? skirt for self & finished Susans dark print apron. Oliver Ames (3), Evelina’s middle son and a future governor of Massachusetts, was still home from college, as was his first cousin, Frederick Lothrop Ames. The two young men were having “a fine time” on their winter break. Chess was just one of the games they might have played to while away the dark evenings, another being whist. Chess had been around for centuries, having first developed in India and the Islamic world. It had evolved over time; dark and light squares on a chessboard were first introduced in the 10th century, for instance, rules for a stalemate or draw in the 15th, and so on. By the nineteenth century, chess was really coming into its own. 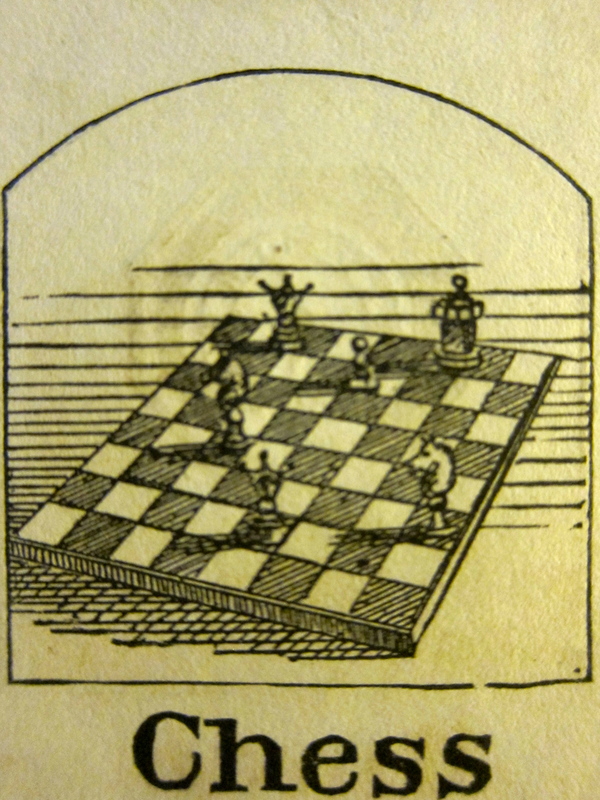 In 1802, one J. Humphreys published a book called Chess Made Easy. In 1830, the first known female chess player was acknowledged (though probably not encouraged.) The first international chess tournament was held in London in 1851, won by Adolf Anderssen, and in 1852, the year we find Oliver Ames (3) playing the game on a winter’s night in Bridgewater, Massachusetts, sandglasses were first used to time a game. Before the decade was finished, an American prodigy name Paul Morphy came to fame, winning nearly every game he played and defeating most of the older expert players. In the United States, a chess “epidemic” was born. nights at Augustus, returned to Boston this morning. 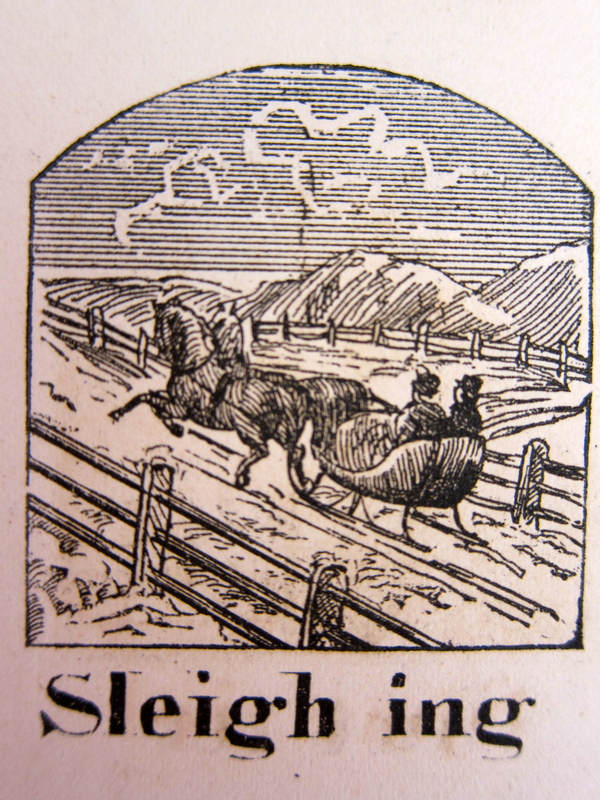 The morning was fair, the afternoon cloudy and warm enough so that the snow on the ground “thawd some.”* Sleighing (or “slaying,” as Old Oliver occasionally spelled it) would have been good, the top crust of the snow-packed roads slick with ice and fast to travel. Despite being out and about today in a sleigh, Evelina accomplished some sewing. The flannel skirt she was making for her daughter was probably a petticoat that Susie could wear under her dress, rather than an outer skirt. Full dresses and jackets were indeed made from wool flannel around this time, but the flannel underskirt was more common. Known for its insulating capability, the cloth would have kept Susie extra warm on the cold, cold days. Have sewed but very little Mr Wm Brown was also here. Quite a sociable day for the Ameses, full of company. Midday dinner was attended by Sarah Lothrop Ames and her son Frederick. (The absence of Oliver Jr. and Helen Angier Ames suggests that the former might have been away on business while the latter had returned to school.) Fred, like Oliver (3), was home from the Ivy League; their conversation at the dinner table probably provided some fresh subject matter. Perhaps they entertained family members with a modified description of life on campus. 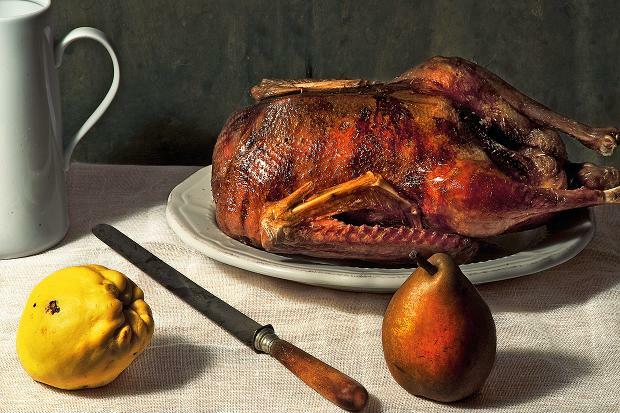 Evelina served a roast goose (that Jane McHanna had cooked), a dish that normally denoted a special occasion such as Christmas or New Year’s. Were they serving it in anticipation of Oliver (3)’s 21st birthday, or was it just a whim? Either way, serving roast goose on an odd weekday signified wealth behind the larder. Mrs. Hale would likely have approved of the baked tarts, however, that Evelina served for tea later in the day to the Whitwells and others. 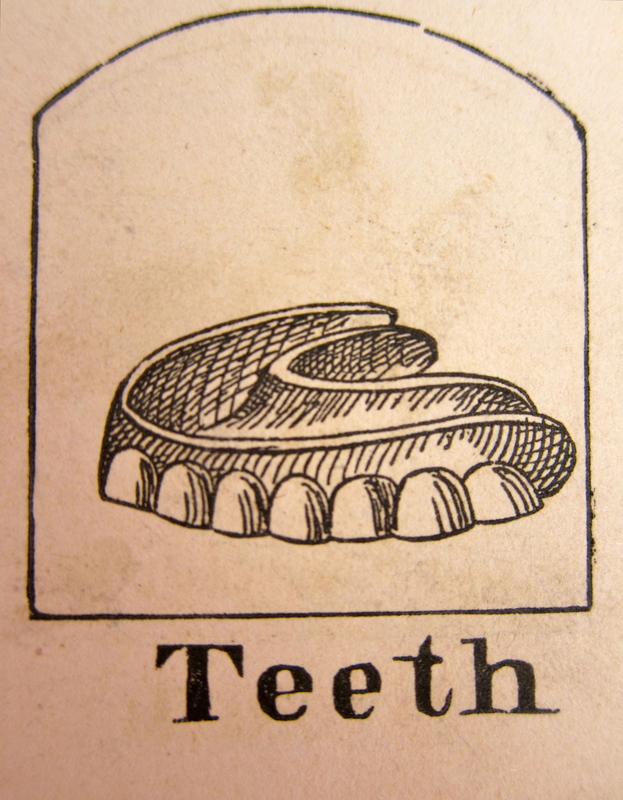 It’s a happy note that Sarah Witherell ventured over at the very end of the day; she must have been feeling better after the extraction of her teeth some days back. She was comfortable enough to let Evelina’s nephew Augustus and his wife Hannah see her face, which had been swollen for days. It was Monday, which meant that Evelina probably did a little housework this morning before picking up her sewing. As usual, Jane McHanna managed the Monday washing and Evelina didn’t need to paint or fix or oversee anything but the flannel skirt she was making for her daughter. After midday dinner, she and her elderly mother, Hannah Lothrop Gilmore, walked to the home of Edwin Gilmore and sat with his bride, Augusta Pool Gilmore, each of them tending to their sewing. It seemed quiet on the home front. In another decade, it would be anything but quiet – at least across most of the country. The United States would be in the first upheavals of an impending civil war. “The Great Rebellion,” they would call it. On this particular day in January, 1861, Louisiana would secede from the Union, the sixth of eleven states to do so. When the war ended in 1865, the Confederacy defeated, Louisiana and her sister states would ultimately be accepted back into the Union through the arduous and hotly political process known as Reconstruction. In another two decades, the economies of the southern states would still be struggling, enabling many northerners to acquire cheap land and cast-off businesses. In 1873, the three Ames brothers – Oakes Angier, Oliver (3) and Frank Morton – would purchase two old plantations, Estelle and South Side in Jefferson Parish, Louisiana, right across the Mississippi from New Orleans. 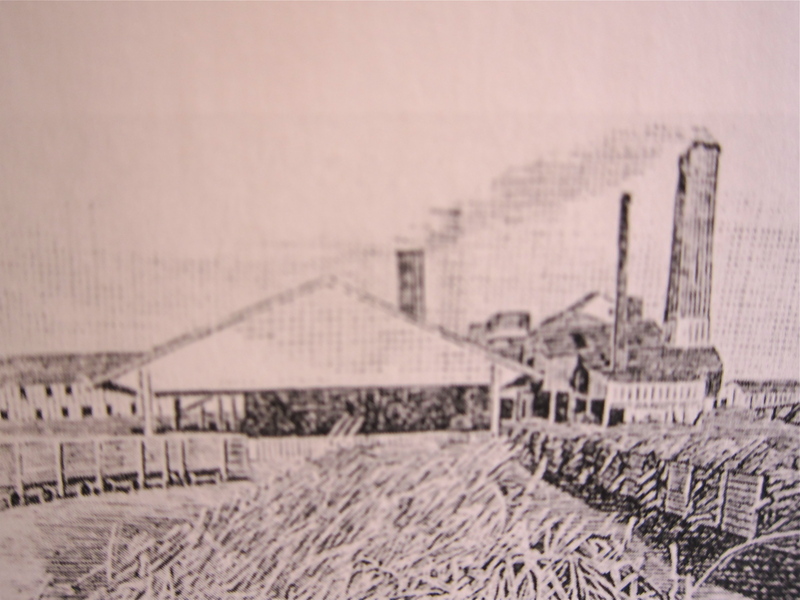 On 13,000 acres, they would grow and refine sugar. The business ran until the start of the 20th century, overseen eventually by one of Frank’s sons. The property, which”stretched for more than one mile on the river and ran about eight miles deep”* was eventually sold. Today that land comprises much of the city of Marrero, Louisiana. Little is left of the Ames influence except an eponymous boulevard running through the city’s center. * Betsy Swanson, Historic Jefferson Parish: From Shore to Shore, p. 97. Old Oliver, too, appreciated today’s weather: “this is a fair pleasant day wind south west + thaws some it is the first fair Sunday we had for a long time…” He also noted with satisfaction that “we began to fill our new ice hous yesterday,”* much of it with the ice that his grandsons Oliver (3) and Fred Ames had harvested on Friday. The ice house was built right next to the pond** from which the ice was harvested. It was probably lined with sawdust for insulation; when the ice was removed, block by block, the sawdust absorbed some of the moisture and kept the building cool. Even if the temperature outside rose, the temperature inside stayed relatively low. 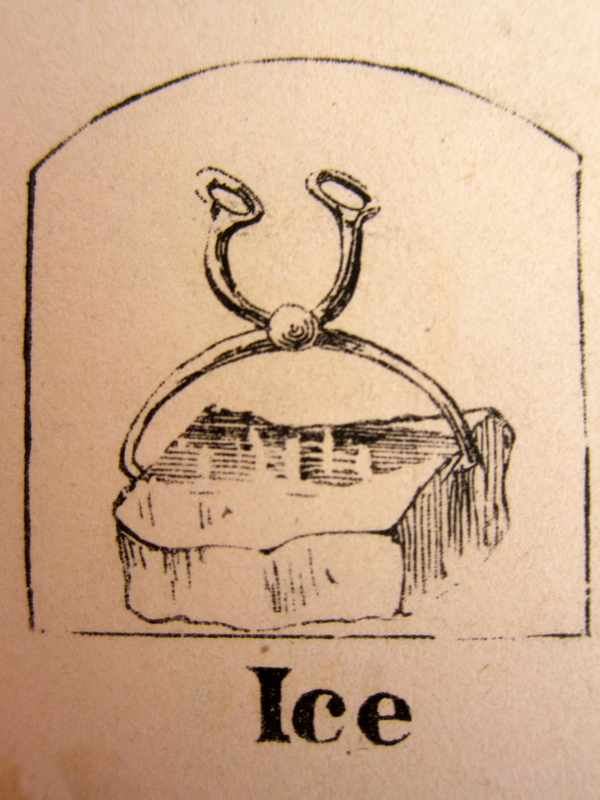 The ice was crucial to the storage and preservation of food in those days before refrigeration. Today’s fair weather enticed everyone to church except Sarah Ames Witherell, who preferred to remain somewhat hidden while she recovered from recent dentistry. The group drove the sleigh (or sleighs) to the meeting house, which was a couple of miles south of their family compound. Evelina sat in the family pew and enjoyed herself; she always liked hearing what Reverend Whitwell had to say. She and her family brought her mother, Hannah Lothrop Gilmore, home for a visit. ** Thanks to information from James Carlino, Dwight MacKerron and John Ames, we believe the ice pond in question may be Monte Pond, on the north side of Elm Street, just east of Rte. 138 in the northeastern corner of Easton. John also remembers an ice house next to French Pond on Union Street, also just east of Rte. 138, north of and parallel to Elm Street. He bought some old ice tools there in the 1970s that he used in making sculpture.